In order to protect your interests as a landlord, it is advisable to have a written lease agreement. A well written lease agreement can make all the difference between getting stuck with a problematic tenant, and having legal channels to protect your property if the need arises. Check with an attorney who is knowledgeable in landlord/tenant law before finalizing any lease agreement. A legal professional will be able to assist you in determining all your legal rights and obligations. Even though it is a good idea to involve a lawyer, you can still write your lease agreement yourself as long as you keep in mind some general tips. Below, we will offer some tips for writing your lease agreement. 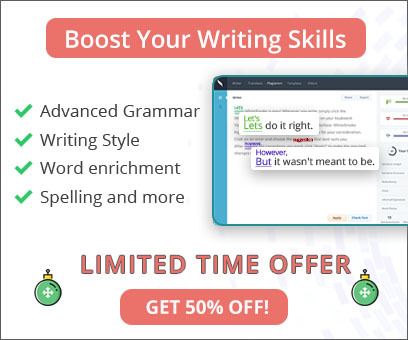 You want to make sure that your agreement has no English grammar or spelling errors, and here an English writing tool can help. A proofreading application featuring a grammar checker, a spell checker and specialized text enrichment features, WhiteSmoke will turn your lease agreement into a perfect example of legal writing. Understand the law so you know what can and cannot be in the agreement. Clearly state any restrictions of use, and any conditions for maintenance of the property. Keep your writing plain and simple. Divide your document into sections, and the sections into smaller segments if necessary. Use proper punctuation to make the points clear. Check for any legal writing terms you need to use. Once you have a plan for your lease agreement, and know the state regulations that are relevant for your lease, it is time to start writing. WhiteSmoke English grammar and punctuation software can make the writing of your lease agreement, or any other legal document, a breeze. 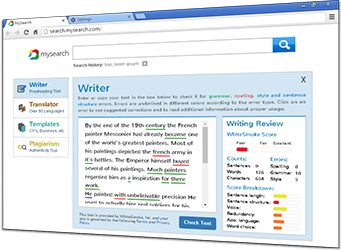 Specialized text enrichment makes your vocabulary expressive, and the vast dictionary-thesaurus can help you find any word or synonym you need.